iPhones are phenomenal smartphones, but like most other smart devices in the market today these Apple devices suffer from cache storage management as well. In broader and non-techie words, the cache files are the back-end files that support an app or program in its fluid launching and running. Caches speed up the process a bit so that an app does not need to start from the scratch. However, after their purpose has been served most of the apps don’t delete the caches and as a result, residues stay in the phone for very long. In any such case, an iPhone or iPad user would notice a massive hike in the ‘Other’ memory consumption and eventually the device would start slowing down. People who text and iMessage a lot might be able to relate to this as both the apps tend to store lots of cache memories. Those who send media contents like video and pictures over iMessage are more likely to suffer from cache storage issues. To get rid of this unnecessary storage usage, cleaning out the cache storage is the way to go. Once the cache is cleared, a surprising amount of storage gets cleared off. 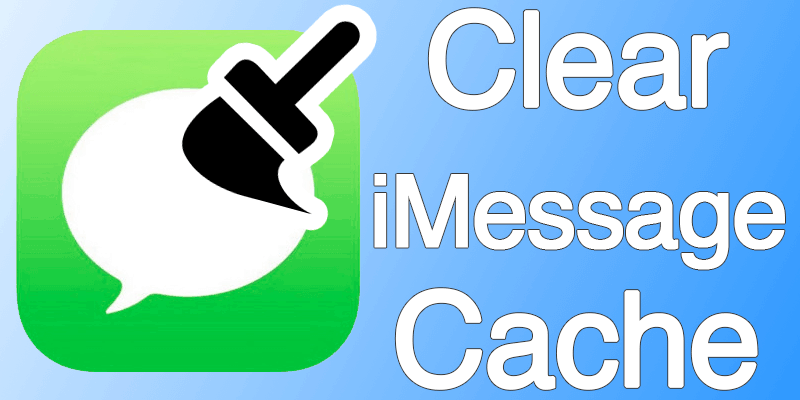 Here’s the way you can clear Message and iMessage cache in an iOS device. Unlike the Android smartphones, clearing caches in an iOS takes a whole lot of effort. And that too in an unconventional way. It’s kind of sad that even after all these years of developing iOS Apple has still not provided an easier way of getting rid of unnecessary cache storage files. An iOS device of course! A free program named iBackupBot in your computer. First off, backup your whole iPhone or iPad. Although nothing is supposed to go wrong in this entire procedure yet it’s better to be standing on the safer side. Having an iCloud backup will ensure having a full-off backup and if you lose any important data, you can always restore them through iCloud. Use iTunes or the Backup option inside iOS. Once the backup is done, open iBackupbot in your computer. 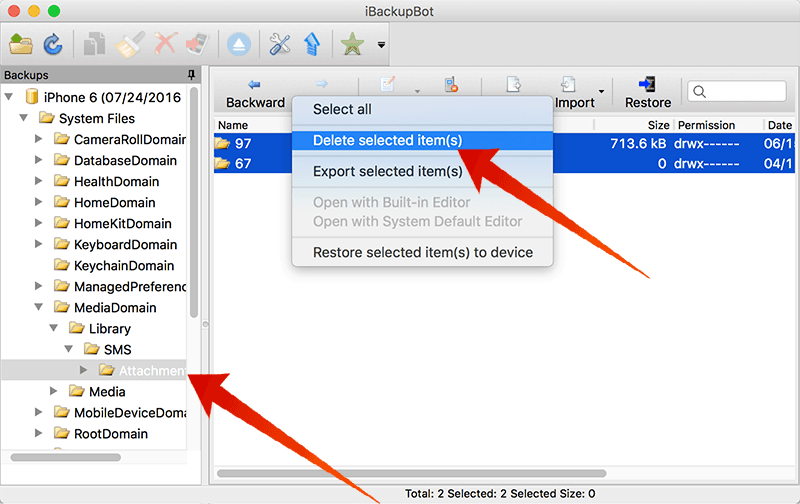 Look up for the System Files tab in iBackupbot program. Then navigate to Mediadomain, find Library and click on it and the SMS option should be visible. Click on ‘Attachments’. The files and folders that show up are the caches created by Message and iMessage in your iPhone or iPad. These folders store all the media contents you have ever sent or received using your iPhone. If you are sure about having no important business in those photos or videos, delete all the folders. A backup will be created with your iPhone or iPad empty of all these cache files. Since there’s no easy way of clearing cache on iOS, the user needs to then restore this empty backup to their iOS device to clear the cache. If you don’t have any iCloud backup, the process ends here. Otherwise, you have to clear off the iCloud backup from your iOS device as well. Conclusion: Clearing iMessage cache could certainly free up gigabytes in your iPhone or iPad, give it a try!